يقع Hamilton Island Palm Bungalows في منطقة مشهورة للغاية في المدينة. هذا الفندق هو من الخيارات الشائع بين المسافرين. يقع مركز المدينة على بعد 2.0 km فقط. ويمكن الوصول إلى المطار خلال 5 دقيقة. سوف يعشق النزلاء موقع هذا الفندق، فهو قريب من أهم المعالم السياحية في المدينة . إن Hamilton Island Palm Bungalows حريص على توفير الراحة للنزلاء، فلا يوفر الموظفون جهداً في تقديم أفضل الخدمات وضمان حسن الاستقبال. يمكن لضيوف الفندق الاستمتاع بالميزات التالية على أرض الفندق: واي فاي مجاني في جميع الغرف, مرافق مخصصة لذوي الاحتياجات الخاصة, واي فاي في المناطق العامة, خدمة صف السيارات, صف السيارات. يمكن للنزلاء الاختيار من ضمن مجموعة من الغرف المصممة بعناية لتعكس جواً من الراحة، والتي يتجاوز عددها 49. سواء كنت من محبي الرياضة أو كنت تتطلع لتفريغ عناء نهار صعب، ستجد خدمات ذات مستوى عالي بانتظارك كمثل حوض استحمام ساخن, مركز للياقة البدنية, ساونا, ملعب جولف (ضمن العقار), حمام سباحة خارجي. 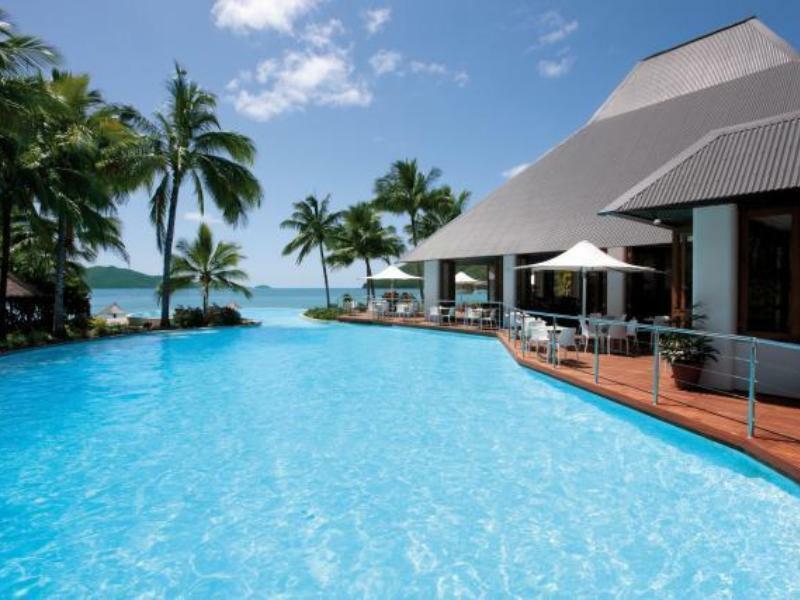 مهما كانت دواعي سفرك فإن Hamilton Island Palm Bungalows هو خيار ممتاز لإقامتك في المدينة. سيخضع العقار لأعمال تجديد خلال الفترة من 1 أبريل 2019 حتى 15 أبريل 2019. سيتم إغلاق ملعب الجولف ومبنى النادي خلال هذه الفترة. I would highly recommend this accommodation. It’s clean, comfortable, roomy and has everything you need. The only thing that let them down was the reception staff. They didn’t give us any information about the resort such as where anything was, no map or anything. If it wasn’t for the wonderful young man who took us to our room who pointed out a few things as he drove us. Overall I would give the visit and the accommodation a 4/5. The bungalows were lovely. We came here for our 30th wedding anniversary so loved the island very much. We absolutely loved the location of palm bungalows and the service received. The pool and facilities are are fantastic. We travelled with an infant and found everything easy to access. The only thing that is lacking is snacks/mini bar/room service or availability of food delivery. our stay was great. the staff were so helpful and accommodating. Highly recommended if your not on a budget. 1. Bungalow style in an island, 2. Friendly staffs, 3. Close to Harbour. Bungalow style was more suitable rather high rise hotel to appreciate the nature, built among the forest like place but just a walking distance to beach. The look of of was like an old wooden house but the interrior was more like design hotel style including shower, bed and toilet facility. Just my wish but the price could be slightly cheaper. Location, scenery and relaxing surroundings! The bungalows are very well appointed, with a small kitchenette which is stocked with everything you need to cook simple meals if you so wish. The bed was comfortable, bathroom was clean, air conditioning and ceiling fan worked well, and the hammock on the balcony was a great addition for relaxing. The only downside was that on our last night, a crew of noisy neighbours moved into the bungalows on either side of us (they were a family we presume) and kept bellowing across from one bungalow to another, which was annoying and inconsiderate, as up until their arrival our little space was the perfect quiet retreat. I did not complain as I hoped they would take their party out into town that night (which they did)- perhaps they were just excited to be there on their first night. It is a lovely hotel. Convenient walk to everywhere, roomy, and comfortable. The bungalow I said in was a little dated, but pleasant enough. No complaints. Just like winning the lottery..... a dream holiday. We had a free upgrade from a Palm Bungalow to the 13th floor of the Reef View Hotel. Wow...stunning views, spacious and very clean rooms. The staff was very helpful and polite. nice bungalows, closed to the beach. it doesn't have a swimming pool but you can go to the ones of the other hotels as they all belong to the same company. 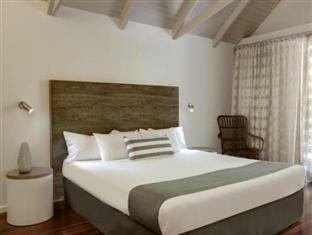 we recommend to book the new rooms, which are slightly more expensive as they are definitely better. they don't have breakfast but you can go the other hotels as well. yes it is expensive! but there are many inclusions in this hotel that i didn't see stated on agoda. first we were treated to an upgrade to reef view hotel room on level 9. all rooms face the ocean and the view was stunning! the rooms were quite big and spacious and you could easily fit 4 friends or more. the bathroom was also large. service at the hotel was fantastic. 5 star! as it is a small island you can even order from the local restaurants and have it delivered to your door! if you are flying in there is a curtesy bus and if you are coming by ferry you can arrange pick up for free (its a short 10 minute walk if that from the ferry and about 20 minute walk from the airport if that). included in the room fee was access to: - the fitness centre - tennis courts - spa and multiple pools - canoe hire - catamaran hire - snorkles - and more! if there are a few of you and you take advantage of these services you can really save a lot of money! i would definately stay here again. Big rooms and those views!!! we arrived at check in and learned we had been upgraded to a high floor sea view room in the reef view hotel. we had reserved the palm bungalows as it seemed to be all that was available. our room was magnificent. the coral sea lay before us! rooms are big and well appointed. nice bar area,fridge and big bathroom. what a treat to sit and watch sun sink with a cold beer in hand and the swooping noisy cockatoos visiting on the balcony. tip...close your balcony door when out of the room. they are known to fly into the room!!! hamilton is a lovely island despite being very over priced. the one thing we did not like about the reef view hotel was the poor service in the pool restaurant. half empty,but we were told wait for a reservation!!!! indifferent staff and very poor maitre d hotel in charge. and food is over priced with very small helpings. avoid this place.there are better restaurants at visitor centre area. Amazing staying here! Very nice bungalows, great service, beautiful beach, lots to do! except the front desk staffs and in the restaurant, we do not have any chance to see other staffs.It is a bit lonely to stay here.Australia hospitality quality is far from good. On arrival at the hotel we were very disappointed with the condition of the bungalows.The room is very dated along with the furniture.The room was dirty.Its very over priced.i would never stay there again or recommend it to any one.We have travelled all over the world but have never stayed anywhere so poor .